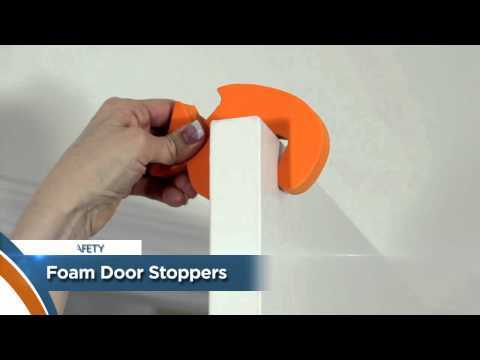 Dreambaby Door Stoppers prevent injuries that can occur when doors slam and also reduce the potential for a child to be unexpectedly locked in a room. Simply slide on to the edge or top of the door above your child’s reach. Handy two-pack in bright colours. Made from soft, flexible foam, they slot easily on to the top or side of most doors. Ideal from home or travel.